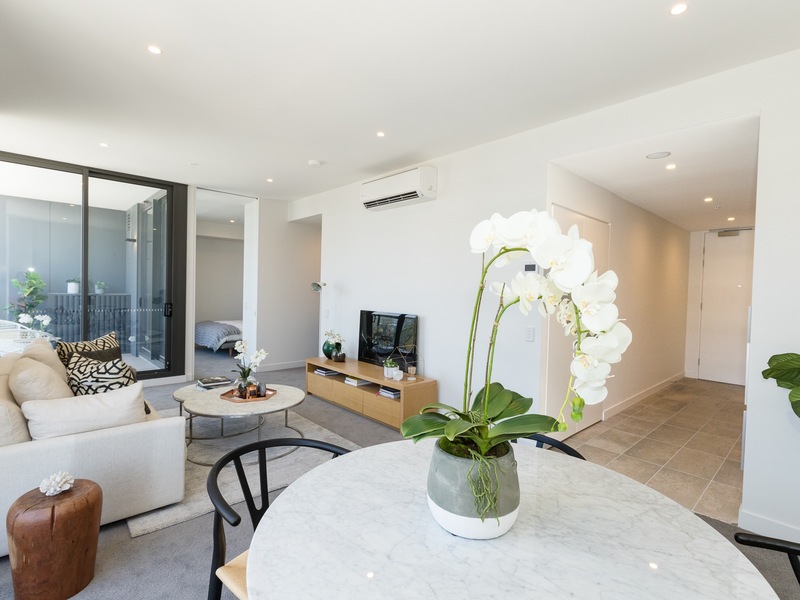 Catching the first rung of the property ladder can be a challenge, but with just a 5% deposit required for first home buyers, North Ryde’s newest development, Centrale, puts the opportunity of home ownership within easier reach. The first stage of Centrale apartments has recently been completed. Now is the time to secure one of the remaining homes in the heart of North Ryde. Brand new apartments are ready to move in, representing your absolute last opportunity to be part of the Centrale community. With only three designer apartments remaining, chances are quickly running out. A one bedroom apartment remains, newly completed and ready to move in, priced at $635,000. Another one bedroom apartment available for $640,000 is currently under construction, ready to move in by April 2018. Finally, a two bedroom apartment with parking, priced at $895,000, is also expected to be complete by April 2018. Centrale first launched in 2015 as a master-planned residential community by Frasers Property Australia, releasing 380 apartments on the market. With construction nearing completion and only a limited number of 1 and 2 bedroom apartments remaining, this is the final opportunity to secure a new Centrale home in the heart of North Ryde. Centrale offers a whole host of benefits. The remaining one and two bedroom apartments are designed by award-winning Turner Architects to align with the idea of modern indoor-outdoor living. The architects were focused on delivering spaciousness to create a more comfortable indoor environment for residents. “[The apartments] have been designed so the proportions of each space are appropriate to their use, and the relationships between the spaces support a considered approach to potential living patterns,” noted Kevin Driver, Director of Turner Architects. Another key aspect to the design is the focus on a seamless indoor-outdoor living experience with dual access to the balcony via the living room and bedroom. 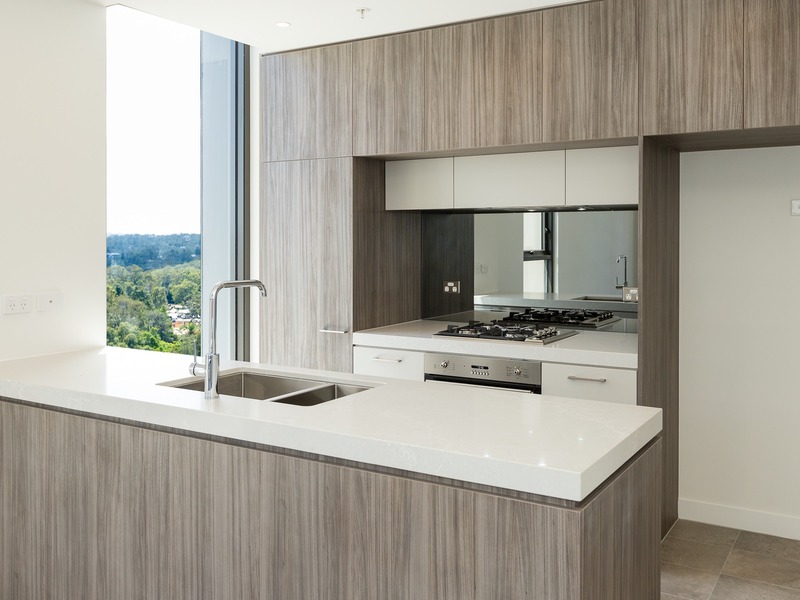 Many of the apartments will also offer beautiful, green, tree-top views of the surrounding Lane Cove National Park plus views to Chatswood and beyond. Centrale kitchens are fitted with premium SMEG stainless steel appliances and stylish stone benchtops, perfect for channeling your inner chef night after night. The bathrooms are chic and elegant, taking inspiration from European design. The benefits of living at Centrale extend beyond the luxury apartments, including access to a private, residents-only landscaped garden with sun shades and BBQ facilities on the podium level. Down below, Centrale’s public domain areas are proposed to host a vibrant piazza featuring alfresco cafes. 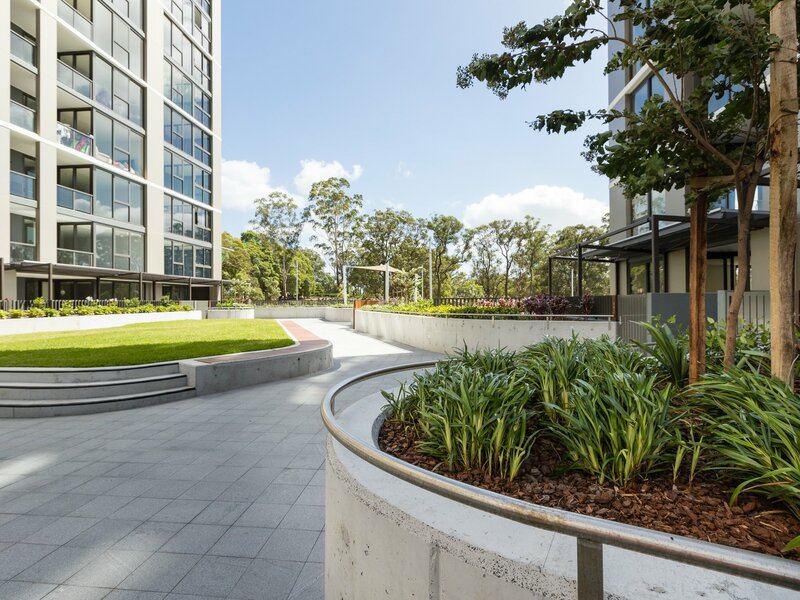 Connected paths will also provide direct pedestrian access to North Ryde train station as well as cycle access, ensuring an easy commute to the city is possible, however you choose to travel. By train, North Ryde is one stop from Chatswood, two stops from Macquarie Shopping Centre and eight stops from Sydney CBD. While connectivity to the city is key, North Ryde itself has been undergoing a major transformation causing a number of businesses to move into the local area and to nearby suburbs Macquarie Park and Epping. The suburb also has one of Sydney’s largest education institutes at its doorstep in Macquarie University and is home to a number of other notable research centres. To find out more and to book your on-site inspection to walk through your new Centrale home and experience the layout and high-quality finishes for yourself, click here. Click here to discover more Sydney apartments for sale.